The remarkably essential Boston Modern Orchestra Project continues with a latest volume in their recordings of American orchestral music that deserves wider exposure. Today an album of the post-millennial orchestral music of Peter Child, entitled Shanti (BMOP Sound 1057). The BMOP orchestra under Gil Rose gives us excellent performances of three of Child's works, "Jubal" (2001), "Adirondack Voices" (2006), and the title work, "Shanti" (2011). It is somewhat difficult to pigeonhole Child's music. Then again pigeonholing is never a great idea anyway. Suffice to say that Child's music is tonal yet not eclectic so much as carrying on the Modern Extended Tonal Orchestral tradition. There are moments in "Shanti" where you hear a pronounced debt to the Messiaen of the "Turangalila" years, and those passages are rather uncanny in that way. Yet this is a but a moment in the whole confluence of sound events. The overall impression is of an original, imaginative inventiveness. "Jubal" starts off the program, a paean to music. It condenses an entire four-movement symphonic overview into a very eventful 15 minutes of music. There is energy and expressive elements, a very sure authorial voice and orchestrational brilliance. It never fatigues nor does it conform to everyday expectations as to what might come next. "Adirondack Voices" brings folk elements into a kind of lyrical-atmospherical, somewhat Americana tinged mix of alternately delicate and robust invocatory descriptive strengths. 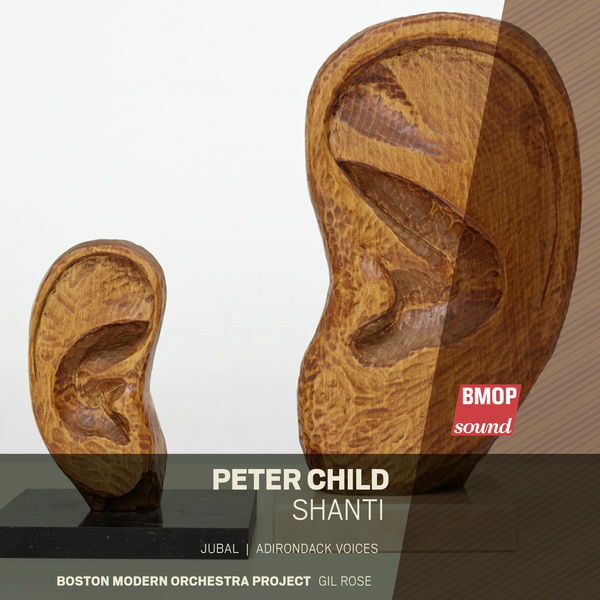 "Shanti" changes the mood to mystery, detailed orchestral questions without set answers, probings of spirit and substance, ineffability. The concluding portions of the work are beautifully hushed and knowingly unknown. I am taken with this music and its refusal to "come clean" and render the obvious. It is a complex and ever challenging journey into the inner within an outer. He has the freshness of plein air painting yet the hermeticism of Dutch Renaissance and Vermeerian allegory, all in a highly developed orchestral modernism that is a joy to hear. This may be something of a sleeper but all the more reason to hear it!